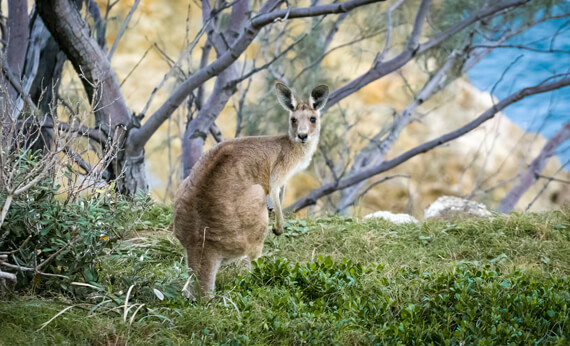 I find that those prisoners describing Independent Adjudications as a kangaroo court have pretty much hit the nail on the head, so I decided to set out some tips to help you understand where a lot of cases go wrong. The Judge is effectively prosecutor and decision maker, so they essentially seek to prove the Defendant’s guilt and then decide whether they prefer their own argument or the Defendant’s - this could be said to be an inherently unfair system so in order to succeed clear proof of innocence is needed as district judges (Independent Adjudicators) and probably a lot of governors, have their starting point as being a belief that the Defendant is guilty, that officers always tell the truth and that prisoners usually lie. The burden and standard of proof that you will be used to from trials in criminal courts is effectively a myth in prison hearings. When asking for time for legal advice, you are supposed to be given 14 days, which is not long at all, so contact a prison lawyer as soon as possible. Most criminal firms don’t deal with this area of law so it is no good writing to your usual criminal solicitors asking them to attend unless you know that they also do prison law and by the time you hear from them your 14 days will probably be up. I often attend prison for hearings and am told by prisoners that they wrote to their usual solicitor and have had no response. They are then required by the Judge to represent themselves as they did not name anyone at their first appearance who can actually attend to represent them. Often the adjudicator will try to proceed within less than 14 days, but this is not a realistic period to expect you to obtain advice and you should insist that you need the full period to which you are entitled. Ensure that you say you want advice at your first hearing as you may not be allowed another opportunity. If you are seeking to instruct a solicitor to attend, ensure that you know whether your adjudication is going to be before the Independent Adjudicator and not the Governor. It is theoretically possible, but very unlikely, that the Prison will agree to let a solicitor represent a prisoner at a Governor’s adjudication. Getting the right information to your solicitor about the date and type of adjudication will ensure that they can represent you or give telephone advice as appropriate. If you assume that they will attend, and therefore you don’t obtain advice, and it then turns out to be a governor’s adjudication it is unlikely that the Governor will adjourn again for another opportunity to obtain legal advice. Never assume that the Prison will send a copy of the charge sheet or any evidence to your solicitor, they are supposed to but it almost never happens in practice. A very common mistake is to believe that a misspelling or minor error on a charge sheet means that the charge must be thrown out. An adjudicator can amend minor errors if it is clear that it is a mistake. Another common mistake is to assume that not being given enough time to prepare means that a charge should be dismissed. An adjudicator can just wait until you have had two hours and then proceed. A charge must be laid within 48 hours except in exceptional circumstances. This can result in dismissal if too long has passed between the alleged incident and the charge being laid and there is no truly exceptional reason to justify this. This is the first thing you should check on the charge sheet. Offences committed as an act preparatory to self harm or a suicide attempt should not form the subject of an adjudication. There is however, an exception in the case of fire setting which endangers others and this can be pursued if the Defendant was reckless as to the endangerment of others, such as officers who would have to enter the cell to put the fire out. Charges that have been referred to the Police that come back with the Police having taken no action should not be proceeded with unless the Prison has further relevant evidence that the Police did not consider. If your charge sheet is missing, the charge cannot be proceeded with. If you want CCTV footage preserved, you must say so at the first hearing and it may be wise to make an independent record of the fact that you have requested this and ask the adjudicating governor to sign it. It is not uncommon for adjudicating governors to fail to record such requests on the official record of the hearing. If you are calling witnesses, statements must be obtained from them as soon as possible, the Governor should be notified at first hearing (if possible) of any required witnesses and it is sensible to make your own written record of the request and ask the Governor to sign it. Often people’s witnesses appear not to have been recorded which can result in the District Judge refusing to call them. Other common issues are officers failing to bring the witness, telling witnesses that they are not required and sending them back to their cells or telling the District Judge that the witness has refused to attend. In such cases the fact that someone has made a statement, confirming they are willing to attend may be enough to persuade the District Judge to adjourn to ensure their attendance. In a case where a witness has been released, the statement can often be relied on instead of calling them, as the Prison will not allow them to enter the establishment just to be a witness. Don’t be shy about asking officers to attend as witnesses if you believe they would speak up for you. The natural tendency of adjudicators is to believe officers and in the cases I have dealt with where officers have supported a prisoner’s account, none of those prisoners have been found guilty. It is useful to know if the reporting officer is on shift or off sick before entering a plea. If the officer fails to attend on more than one occasion, most IAs will dismiss the charge as they cannot simply leave it open indefinitely. These are just commonly arising issues that I think you may find helpful. If you require more detailed advice do not hesitate to contact me. John Griffith - Head of Prison Law at Emmersons Solicitors If you need any help or advice with any of the above issues, then please do not hesitate to contact us. Our Gosforth ofﬁce is located at 137A Back High Street NE3 4ET - call in and see us at any time. We have wheelchair access, you can be dropped off at our front door, and there is free parking on the adjoining streets. You can also park opposite our Sunderland Office on John Street. 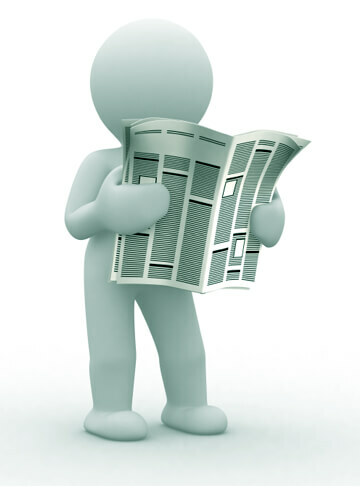 Follow Emmersons Solicitors, Newcastle and Sunderland, and keep up-to-date with our latest news and comments.